We look forward to welcoming you to Adelaide Rockford! 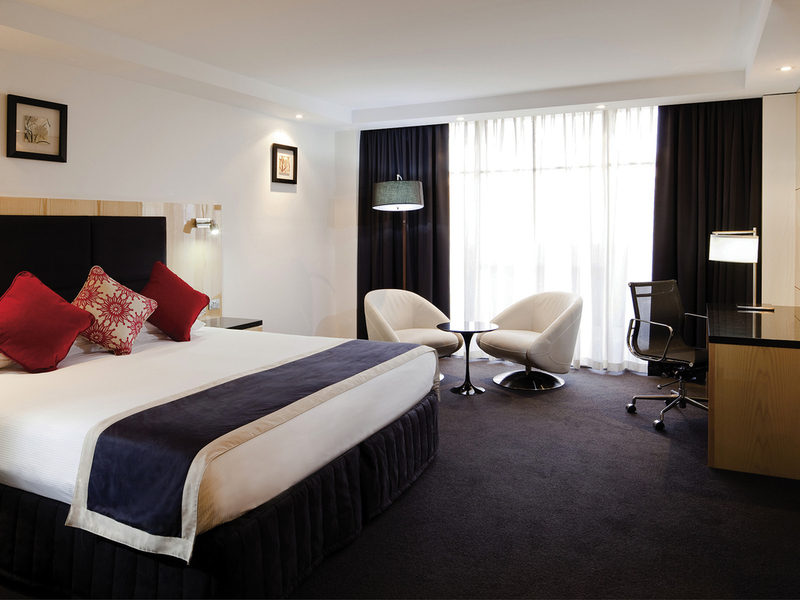 Novotel Adelaide Rockford hotel is a contemporary 4 star hotel on lively Hindley Street. Centrally located in the CBD the hotel is within minutes walking distance to Adelaide Oval, Convention Centre, Casino, Shopping & Dining precincts. Showcasing a rooftop pool with views across the city skyline the hotel also features Spice Market restaurant and bar to relax and unwind. Spice Market offers a tapestry of taste with both creative cuisine & fine wines to tantalise the tastebuds. Superb service & a warm ambience to match, we also offer a healthy choice kids menu, eco fire & fabulous views of the Adelaide arts precinct. A modern lounge during the day, the setting lends itself to informal meetings over a hot cup of coffee or cool refreshing drink. At night the area transforms into a spacious lounge bar where you can relax and unwind.